PWAs: Building Bridges to Mobile, Desktop, and Native — A 40 minute talk from Google I/O that goes into how browser vendors are enabling developers to use the web to build installable desktop apps and store-distributed mobile apps, as well as how Google is launching its own PWAs at scale. Introducing Fuse for Cross-Platform App Development — Now that Fuse has gone open source, following the shift away from paid tooling, this series walks through how to get started with it. Part 2 here. 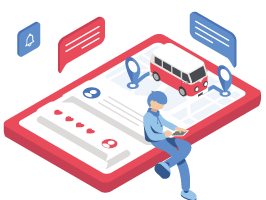 APIs and Infrastructure for Next-Gen Mobile Apps — Build and scale interactive, immersive mobile apps with PubNub - chat, geolocation, device control, and gaming. A Cordova and React Native Comparison — A comparison between the Cordova and React Native frameworks. Google’s ML Kit Makes It Easy to Add AI Smarts to iOS and Android Apps — At its I/O developer conference Google introduced a new SDK for iOS and Android developers to integrate various pre-built Google-provided machine learning models. Latest DeviceAtlas Report Shows Feature Phone Use Still Widespread — The latest DeviceAtlas Mobile Web Intelligence Report shows some statistics about phone and OS usage internationally. Building with Google Pay — How to use Google Pay to offer the best experiences at checkout in your apps for free with the Google Pay APIs. Showing an Activity Indicator During Processing in NativeScript Apps — If you’ve built a form in a NativeScript app you’ve probably had the need to show an activity indicator during submission. This article looks at how to do that. Getting Started With Cloud Firestore for iOS — Outlines the differences between Google’s Cloud Firestore and Firebase Realtime Database platforms and the distinct advantages of each. The Good and The Bad of Xamarin Mobile Development — A good overview of the Xamarin framework, including pros and cons to consider when using it. Media Streaming Apps with Azure and Xamarin — How to build a media streaming app using Visual Studio, Xamarin, and Azure.